Turn, Learn, Pray, Worship, Bless, Go, Rest. This post focuses on the practice of Learning. My guess is that word evokes some pretty strong feelings for many of us. Either it conjures up memories of long nights at kitchen tables with bare bulbs illuminating stacks of textbooks and three-ring binders with densely scribbled notes, half-finished mugs of coffee and empty cookie packages… or it brings soft, friendly images of curling up in library stacks in overstuffed chairs, immersed in the wonders of new information and the delight of discovery… “Study” for some, is a means by which we expand our mind and grow in knowledge, and, for others, it is a painful process requiring us to absorb material that we don’t fully understand, making up silly mnemonic devices so that we can regurgitate facts and figures on tests that will prove, to someone- least ourselves- that we are accomplished, or at least that we have retained enough information to express minimal competency in the topic of the day. I have experienced both- the crush and fear-filled urgency of cramming for a test, and the beauty of drinking in new material, excited by the firing of synapses as my brain makes connections, like fireworks going off in my head. When I first enrolled in seminary at the age of 42, I was a little intimidated. I hadn’t been in school for some time, and I knew that taking on full-time graduate study at a school more than an hour’s drive in my mommy-van away from home, with three grade-school children doing their own thing, and a husband with a more-than-full-time job was going to be uphill sledding. I had majored in psychology twenty years earlier as an undergrad, gone back a dozen years later for graduate certification in Elementary Education, but jumping into a Masters of Divinity degree (I’d only had one class in religion in college; other than that, I was working with a Sunday School education in my new subject area)… well, it was going to be exciting. 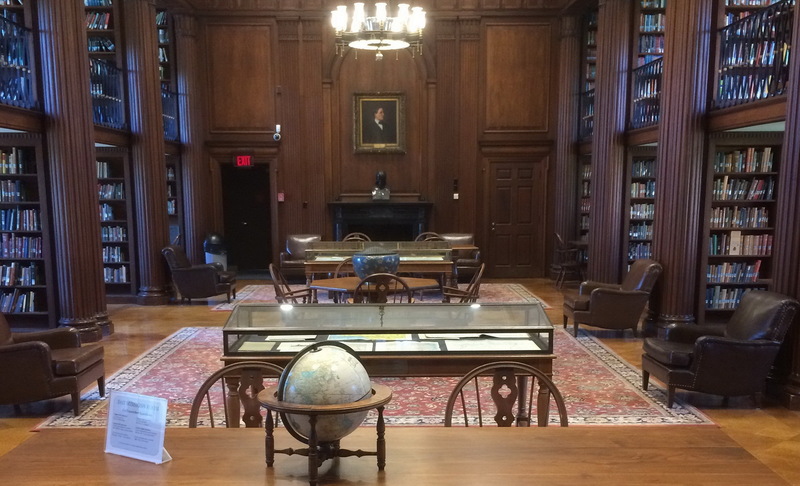 I found the Day Missions Reading Room at Yale Divinity School library. It was a soft room, with leather chairs, oriental rugs, book stacks dividing the room into cozy study cubbies- each outfitted with a small library table, lamp and window that looked out on a leafy quad. I was in heaven. I spent hours and hours and hours in that room in the next three years; it became my hideaway, my haven, in which my mind was opened to entirely new worlds: The ancient Church. Greek philosophy. Roman government. Holy Land geography. Aramaic. The hammering out of the faith by the Patristics. Christian art and Iconography. The Development of Liturgy. The Evolution of the Anglican Tradition. Prayer Books. Ethics. Monastic traditions. Docetism. Gnosticism. Marcionism. Eschatology. Baptismal Theology. Soteriology. Christology. Ecclesiology. All the “ol-ogies…” Wow. Some days it felt like my head was going to explode. On my daily drives to Yale from the NW part of the state, I listened to cassette tapes of the Old Testament, immersing myself in the study of the scriptures and trying to soak it all in before the morning’s lecture by the legendary Bob Wilson who would expound with dry humor and scholarly brilliance on the texts. On the way home, I would replay the tape of the Patristic lectures that I had recorded, awestruck at the capacity of my esteemed professor, Rowan Greer, who lectured to us for hours at a time without notes. I kept a legal pad on the passenger seat (a practice that I continue today) in the event that some great idea would come to me for a sermon that I would preach in my homiletics class taught by the amazing and loving and wise David Bartlett. I was gob smacked by school, and I studied with joy, delight and a deep fear of failing. My fear of failing was so great that I would not allow myself to buy a Yale sweatshirt until I had completed my first semester exams and was certain that I was not going to flunk out. Imagine the shame that would have come with owning a sweatshirt from a school that dumped you. Clearly, that didn’t happen, but I still remember the double-edged sword of delight at the new world that was opening to me and my deep anxiety about whether or not I was going to make it. I wonder what memories that word conjures up for you. The second practice in the Way of Love is to “Learn.” “Learn” is not exactly like “Study”- there are many ways to learn, and, still, the call to “learn” about our faith and the teachings of Jesus is salient for our times and our tradition. We are called to approach our faith with a mature responsibility drawing us to know what it is that we profess. We are called to understand the context of our tradition, its evolution and history, and to form a relationship with scripture and liturgy by which our relationship with God is deepened and enhanced. When we dig below the surface of a story in the Bible to learn about its context, history, the perspective of the author, the tradition of the peoples… the Word of God opens to us and it becomes part of us; we do not view Scripture as something apart from us, but as the foundation from which all of our experiences and stories grow. If you are doubtful, take the time to get an accessible translation (something that isn’t all King James-y) and read the book of Genesis. The stories in Genesis are rich and beautiful and painful and joyful and haunting and soulful and real. Find yourself in there- again and again. Meditate daily on the teachings and life of Jesus. Get yourself a Bible (or open up the one that most of us have, somewhere in the house.) Join up with the Adult Forum at your church. Explore our diocesan school that offers classes on-line (www.diocesecpa.org/ssfm/)Or ask your priest or friend or neighbor how they got started and how you might get started, yourself. Delight in learning. Discover your own story in the stories of our tradition. Learn, for the sake of making connections, through the ages, to the One who is Wisdom, herself. The vast universe of learning open to Christians is perhaps intimidating. Start where curiosity rises, like a fish to the bait. I began in the 6th grade, when we studied The Church of Our Fathers by Roland Bainton, and then in 12th grade, when we studied Dr. Banton’s college level texts on church history. I took a break for college and grad school, but in 1978, with my infant son on my hip, I opened a book called No Man Is an Island, thinking it would be about my favorite poet, John Donne, and instead, I found myself reading a set of lectures given by Thomas Merton to his class of novice monks. The first sentence I read made me weep, so I bought the book, and went from that to the sayings of Julian of Norwich, and on to The Cloud of Unknowing, and then back to the 20th c. with Dorothy L. Sayers on the Athanasian Creed, commentary on living faithfully by Madeleine L’Engle and Marianne Robinson, and the marvelously readable theologians Walter Wink and Walter Bruggemann. Follow your curiosity, read what interests you, be challenged and rejoice in the reading: you will be changed but you won’t have to take any exams! Subscribe to this blog to receive email updates when a new post has been published. new year’s resolutions… or… the 2019 tweak. Mars, the diocese, and your soul. In which the bishop does not write about clouds. a picture is worth a thousand words. 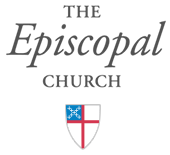 refreshed diocesan icon. Whose are we… or… to whom do we belong?